Sitting for extended periods of time on “normal” chairs can result in crippling stress to your spine and neck. It can also lead to development of back pain, neck stiffness and affect the lumbar region. When you look at all the negative effects associated with sitting in general, it’s a no brainer to invest a few hundred dollars on a good ergonomic chair, considering the long term positive effects and money saved on healthcare in the long run. 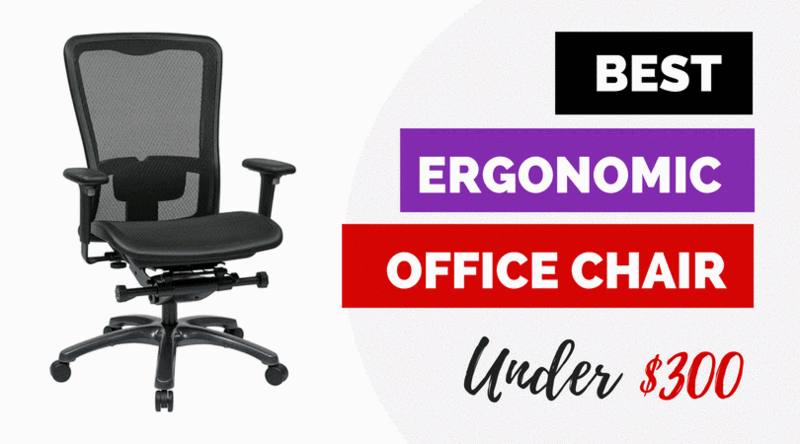 In this buyer’s guide we review the very best ergonomic office chairs you can get for under $300. 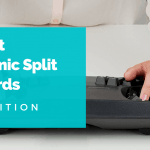 These ergonomic chairs offer a far better back-rest, head-rest, arm-rest adjustments and improved lumbar support compared to less expensive chairs. Some of them even come with adjustable lumbar support that can be moved up or down to cater to your lower back precisely. 3D Arm rests are plentiful with chairs that made our list, which can angle inwards to match the angle of your arms as you type. Adjustable headrests that can be risen to match the height of individuals are also found. Lets dive in now to see our picks for the best ergonomic office chairs under $300. 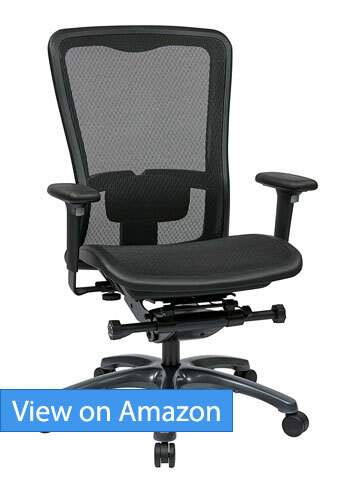 Bottom line: High quality mesh ergonomic office chair with excellent breathability, three-tiered back-rest and adjustable headrest. 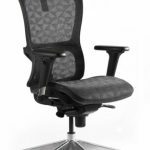 The Mysuntown is a versatile ergonomic office chair with a level of adjustability usually found on much more expensive chairs. Specifically, everything from the head rest, seat back, arm rest, to the lumbar support can be modified to achieve the perfect level of ergonomics and comfort. Users with frequent lower back or neck pain will find the Mysuntown Chair a life saver. The ergonomic chair features a 3 tiered contoured backrest that arches like the shape of your back, offering support where you need it the most, usually in your lower back. 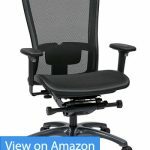 Unfortunately, the height of the lumbar support is not adjustable, though for most people, it seems to be perfectly placed and requires no adjustment anyway. The backrest of the Mysuntown Chair consists of an all-mesh material that keeps you cool even after prolonged contact. It supports a recline angle of 135 degrees, the perfect angle to reduce spinal and back pressure, according to experts. Measuring 35.4″ high, it should comfortably accommodate people between 5.5″ to 6.3″. I love the arm rests on the Mysuntown, which can be angled inwards and out, apart from just being height and length adjustable. For the arms, this is one of the most important ergonomic features to look for, as an angled armrest lets you assume a more neutral position as you type. All in all, with so many adjustable features and an assembly process that only involves just a few screws, the Mysuntown Ergonomic Chair is one of the very best you can get for under $300. 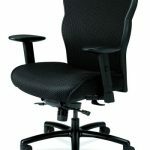 The Office Star High Back chair offers excellent back support and works well for users who complain about chairs that do not provide adequate lower back support. The back-tile comes with tension adjustment, allowing users to adjust how far back the chair reclines. A built in lumbar ensures your lower back is supported as you work. 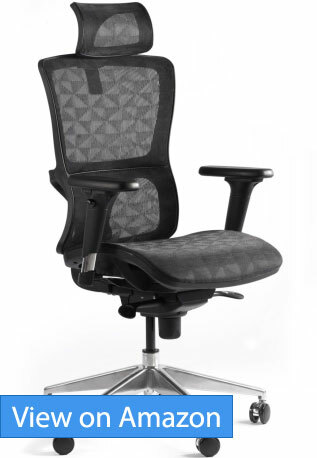 What I love most about the Office Star Progrid chair is its overall durable and no nonsense design. When you spend $300 on a chair, you expect it to last a good few years.. The solid metal base and plastic parts of the Office Star all feel extremely sturdy, and built to last. Heavier people can also rest easier knowing the chair is solidly built. The one downside of the chair is the narrow chair width, at around 20 inches. This may not suit people with larger waistlines. Tall users might also find it harder to comfortably rest their legs as they might end up resting on the frame. The Office Star Chair is easy to assemble due to the relatively fewer number of moving parts. 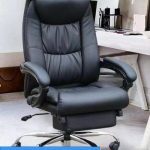 Considering the price, solid materials used in the chair and the ergonomic features it offers, this ergonomic office chair offers great value for the money for people looking for an ergonomic, dependable chair with decent back support. Relatively narrow seat width, at 20 inches. 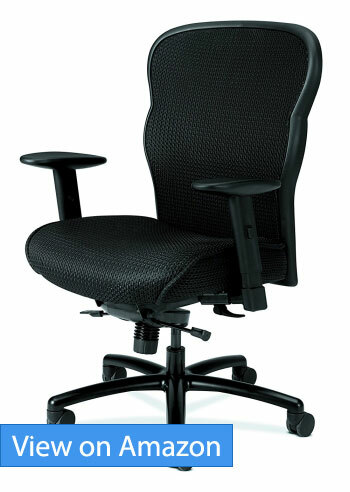 Bottom line: Heavy duty executive chair with up to 450 pound weight limit and 5 year limited warranty. HON Big and Tall Executive chair is designed to accommodate the entire spectrum of people in terms of height or size. At 42.88 height x 30.25 width x 25.63 depth inches, even extremely large users will have no problems feeling at home in the chair. Its 450 pound weight limit and 5 year warranty further assures you this chair was built to handle anything. The ergonomic features of the Hon Big and Tall Chair start with arm rests that not only move up and down vertically, but can also be angled inwards or outwards to cater to your arms’ natural resting position. The lumbar piece located at the back of the seat can be moved upwards to support the area of your lower back that needs it the most. While the Hon Big and Tall Chair tilts and reclines like any ergonomic chair, it’s noteworthy to mention the maximum allowed angle is rather shallow, and the entire seat tilts backwards (not just the back rest). If you’re looking for a chair with a high degree of recline for kicking back, the Hon Big and Tall is probably not your best option then. This is a chair built to work comfortably in. Like the other parts found on the Hon Chair, the durable wheels and resin base allow effortlessly wheeling over all kinds of surfaces. The 360-degree swivel is smooth, letting you easily swivel around or pull up to desks. For people who love a big seat to sink into, or tall or heavy users that could never quite feel comfortable in regular office chairs, the Hon Big and Tall Chair is one of the best ergonomic chairs to get, especially at under $300. The chair uses high-quality materials and is built to last. The firm padding and solid rocker ensure that the chair lasts for a long time. And lastly, putting the chair together is also easy and requires little time and effort (around 20 minutes average). Ultra wide seat dimensions and weight tolerance to accommodate all users. 3D arm rests that can be angled inwards or out. 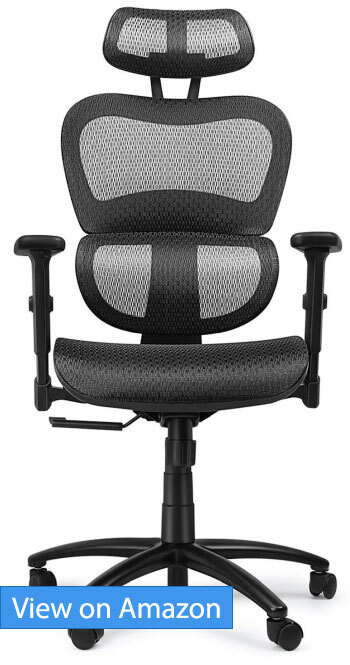 Bottom line: Affordable Ergonomic Office Chair with Lots of Adjustable Parts. 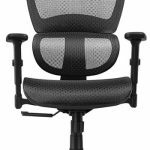 This CCTRO chair features a high level of adjustable features in an affordable package that’s well below $300 when on sale (check latest price). The high-strength mesh is well engineered, firmly supporting your bottom without sagging, and is breathable to allow proper circulation of air for maximum comfort. The ergonomic features of this CCTRO Office Chair include adjustable lumbar support, which enhances your spine’s natural curve with its arched shape. Some users complain however its not protrusive enough. The tilt tension in the back rest is adjustable, which helps minimize leg fatigue and makes sitting for extended time periods more comfortable. We love the head rest on the CCTRO Office Chair. The arched shape supports your head well while keeping your neck straight, and the ability to adjust its height means you can feel assured it will cater to your upper body as desired. The installation instructions are also easy to follow and users can get the chair ready by counting just a few bolts and screws. In addition to the easy assembly, the chair is easily washable when needed from time to time. The product comes with a 30-day money back guarantee with no questions asked. This means the manufacturer is confident about its chair that uses aluminum alloy feet and is built to last. 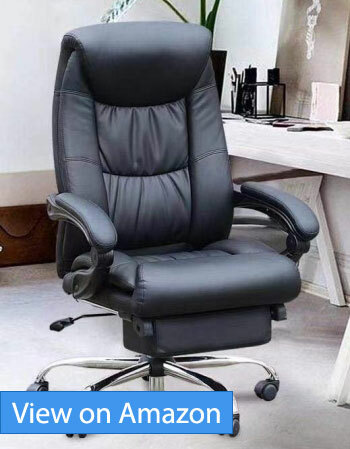 For those of you looking for an executive style office chair with supple PU leather for a soft sitting experience, you could do a lot worse than the Duramont Office Chair. A lot worse. We’re a big fan of the Duramont brand for not just the quality of their chairs in general, but superb after sales support. Apart from a long 90 day unconditional guarantee, their support staff is quick to address any issues, as echoed by many Duramont chair owners. Back to the chair itself. The Duramont Chair is covered in soft PU leather with durable cushions that feel plush yet supportive. Even the armrests are generously padded. The slightly protruding headrest and waterfall seat edge help contour the chair nicely to your body as you sit to ensure comfort even after prolonged sitting. I’d be remiss not to mention the footrest at this point. Combined with a backrest that reclines all the way back 155 degrees, and you have an office chair that also doubles as a power napping station. All in all at well under $300, there’s very little to complain about the Duramont reclining office chair. When it comes to ergonomic office chairs, $300 is considered a mid to lower level price point. Although you probably won’t see leather in the sub $300 chairs, mesh is commonplace, and is arguably a better option for many people, as it’s more breathable and provides better air circulation. However, as mesh fabric, especially wire mesh, is firmer, it does not easily deform, which means a user might have to buy an extra layer of padding for more comfort. You can elect for chairs with faux leather in the $300 price range, though be aware that mesh is more durable; faux leather can wear down more quickly and ruin the looks of the whole chair, which you don’t want. Armrests should be fully adjustable, including ability to angle inwards and out. Minimum weight capacity should be at least 250 pounds, a reflection of the chair’s sturdiness. Headrest (if present) should at least be height adjustable. In general, you will be able to find a high quality mesh ergonomic chair in the $300 range, such as the ones we’ve reviewed above. What you will be missing out compared to higher priced chairs such as the Herman Miller Task Chair are usually higher quality materials (for longevity), multiple tension zones to adapt to different parts of your body better, and more padding or real leather for comfort. However, at $300, this is a sweet spot in terms of the features you will get at a very affordable price point. I'm a mechanical engineer and founder of ErgonomicTrends.com. Good Form. Good Function. Good Health.